Oversight of the municipal market has been grounded in the concept of self-regulation for over 40 years. Government provides strong oversight, and market practitioners contribute expert insight into the practical realities of implementing regulatory objectives. Our self-regulatory model has supported the growth of a $3.8 trillion capital market that has the confidence of investors, issuers and market professionals. As part of the MSRB’s long-term strategic vision, we plan to continue to leverage our unique perspective and expertise to advance the integrity of the municipal market, while maintaining our commitment to continuous self-assessment and improvement. This work will take different forms, with the common goal of providing appropriate regulations, promoting market transparency, and offering education and outreach to ensure a fair and efficient municipal market for all. Below are some recent examples of this work. Last month, we published a report summarizing the history of self-regulation in the U.S. capital markets and detailing the advantages of the MSRB’s distinctive SRO model. 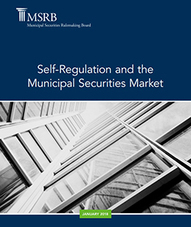 Read Self-Regulation and the Municipal Securities Market here. In January, MSRB Chair Lucy Hooper published commentary in The Bond Buyer that explores the MSRB’s unique approach to safeguarding the municipal securities market. The piece highlights four key advantages to the MSRB’s SRO model and emphasizes our commitment to corporate transparency, stakeholder engagement and continuous improvement. Read the commentary here. Input from municipal market participants is essential to helping us fulfil our mission to promote a fair and efficient municipal market. As an SRO, our representative Board of Directors serves as the foundation for policymaking, which is further informed by public and industry input, and ongoing outreach to municipal market participants. See the many ways we engage with these stakeholders or view our brochure to learn more about stakeholder engagement at the MSRB. As the municipal market’s SRO, the MSRB publishes an annual report highlighting the previous year’s initiatives in support of a fair and efficient market, as well as information about the organization’s financial position. 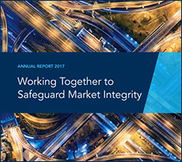 Read the MSRB’s 2017 Annual Report, which emphasizes our commitment to an inclusive, transparent approach to safeguarding market integrity. Read more about the MSRB’s strategic objective to leverage the MSRB’s unique perspective and expertise as an independent self-regulatory organization. During its quarterly meeting at the end of January, the MSRB Board of Directors discussed industry implementation of the mark-up disclosure rule, facilitating compliance with MSRB rules and other measures aimed at regulatory efficiency. The Board also discussed the continued adoption by both municipal securities dealers and municipal advisors of new market regulations and agreed that the timing of new requests for comment will be carefully calibrated to allow commenters to provide meaningful feedback as they accommodate new regulatory requirements. Read the full Board meeting summary here. The MSRB annually seeks applicants to fill open positions on its Board of Directors and is accepting applications through February 16, 2018. 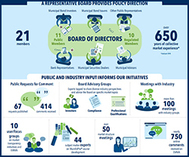 The 21-member Board sets the strategic direction of the organization, makes policy decisions, authorizes rulemaking and market transparency initiatives, and oversees MSRB operations. The MSRB is currently seeking applicants to fill two public and three regulated-entity positions, including applicants with substantial experience in municipal securities retail sales, and trading desk and syndicate operations. The MSRB is also interested in retail and institutional investor applicants, particularly those with expertise in separately managed municipal accounts and market structure issues, and applicants with a securities law or legal background. Interested candidates must submit an application on the MSRB Board of Directors Application Portal. MSRB Rule A-3 outlines requirements for all applicants to the Board, including specific eligibility requirements to serve as a public or regulated-entity Board member. As one of three non-dealer municipal advisor representatives to the Board, Renee Boicourt knows that success in the municipal market is all about collaboration. 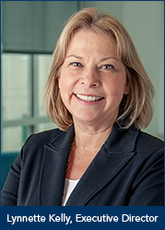 Through her 30 years of work in the industry advising municipal bond issuers, Boicourt has observed that the public finance sector is at its peak when all parties have a place at the table. Now Managing Director at Lamont Financial Services Corporation, Boicourt sees the same dynamic at work on the MSRB Board of Directors. Boicourt is among those municipal financial professionals who until 2010, were not federally regulated. The MSRB has since established rules of professional conduct and qualification requirements for municipal advisors. She says that while regulation sometimes is viewed as a burden, it is essential for protecting the market. MuniEdPro® is the MSRB’s suite of interactive, online courses designed specifically for municipal market participants. The courses provide up-to-date content relevant to municipal market activities and MSRB regulations. On February 8, 2018, the MSRB will release a new course that supports understanding of upcoming mark-up disclosure requirements under MSRB Rule G-15 and the determination of prevailing market price under MSRB Rule G-30. The course, Mark-up Disclosure and Prevailing Market Price for Municipal Securities, will cover the fundamental aspects of the rules and allow the learner to understand the application of the rules to examples of municipal bond transactions. To promote understanding of the requirements, the MSRB will make the course available at no cost through May 14, 2018, when the new requirements are scheduled to take effect. If you do not have a MuniEdPro account, create one to enroll in the course. Join the MSRB at one or more of our Town Hall meetings that will give municipal market participants the opportunity to discuss self-regulation of the municipal securities market. Each meeting will be exclusively in person and is intended to support the municipal market community by creating a forum to communicate concerns and capture ideas to inform the MSRB's future activity. All are welcome and there is no cost to attend. Details and registration information for each Town Hall meeting is listed below. Register to attend the second in a series of virtual compliance workshops designed for regulated entities. Join MSRB staff for an in-depth discussion about key provisions of MSRB Rule G-42, on duties of non-solicitor municipal advisors, related to relationship documentation and making disclosures. This workshop will follow a question-and-answer format based on questions and suggestions from regulated entities and other stakeholders.